All the planning of previous holiday events starting months prior has many of us wondering what we will be doing for New Year’s Eve on the day after Christmas with little time to plan or put a party together. If this, like many others, is you don’t stress there is still time to plan a great party in your home with your closest friends and family to ring in the New Year. One of the first things you think about when having people over is the cleanliness of your home. Maybe your home is still in recovery mode from former holiday festivities. A great way to get your home turned around and in shape to host a new party is to only concentrate on the rooms that your guests will be spending time in. Mainly when hosting a party those rooms would be bathrooms, the kitchen, and main living areas. You more than likely wont have people in the master bedroom or the office etc. If you serve adult beverages you may want to think about having a spare room ready for guests who need to be safe and stay overnight. 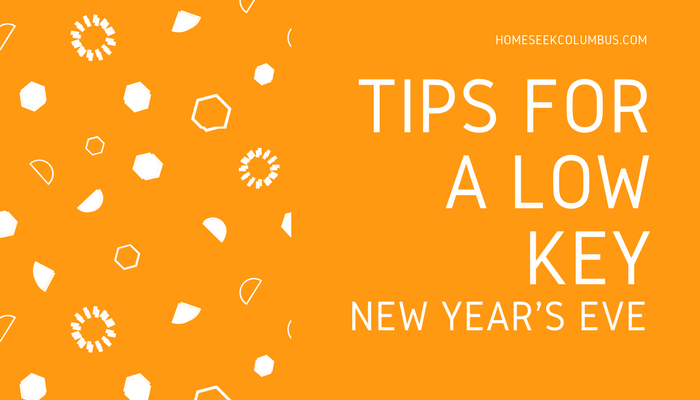 The second tip to planning a last minute New Year’s Eve party is to keep things simple. Here are some suggestions to keeping the mood light and the atmosphere fun. - Let guests know there is no dress code. Tell them to come as they are no fancy attire necessary, unless they want to come decked out and that is perfectly fine as well. - Open the party up to whole families. Tell guests that kids are welcome so they don’t have to scramble to find a sitter, and you don’t either. Set up a separate space with kid friendly movies and games. - Serve a simple menu- go with items you can make ahead and preheat, let guests know they are welcome to bring their favorites to share, just serve hearty appetizers and/or desserts, consider going to a wholesale warehouse and grabbing a large party platter, only serve champagne instead of a full bar, etc. - If you are inviting only your closest friends or family delegate some of the party planning and execution to them. Make it a group effort, give everyone a job to pull the party together. - Use only disposable drink ware, plates, and cutlery. This saves you loads of clean up time with so many less dishes to clean. Go eco- friendly with paper items. - Grab a pack of fun noisemakers to have a little fun right at midnight. - Turn the local television ring-in-the -New-Year celebration on in the background so you don’t feel obligated to keep the party going or provide constant entertainment. - Bring out the board games. They are always fun to pass the time with friends when you are waiting for the clock to strike midnight. It is a great chance to put those Christmas board game gifts to use. How Fast are Homes Selling?